(Geneva, 17 September 2015) – Yesterday the United Nations High Commissioner for Human Rights released the long-awaited Report of the Office of the High Commissioner on Human Rights (OHCHR) on Promoting Reconciliation and Accountability in Sri Lanka and the Report of the OHCHR Investigation on Sri Lanka (OISL). OISL investigated alleged gross violations and abuses of human rights in Sri Lanka between February 2002 and November 2011 as well as events that led to the loss of thousands of innocent lives during and after the civil war. The Asian Forum for Human Rights and Development (FORUM-ASIA) welcomes and supports the recommendations and findings of both reports, and considers their release as an important milestone in the quest for justice and accountability in Sri Lanka. FORUM-ASIA however notes that there are many more miles to go and urges the Sri Lankan Government to take immediate and meaningful steps to address the violations enumerated in the report, in cooperation with the OHCHR, the international community and in consultation with victims and civil society. 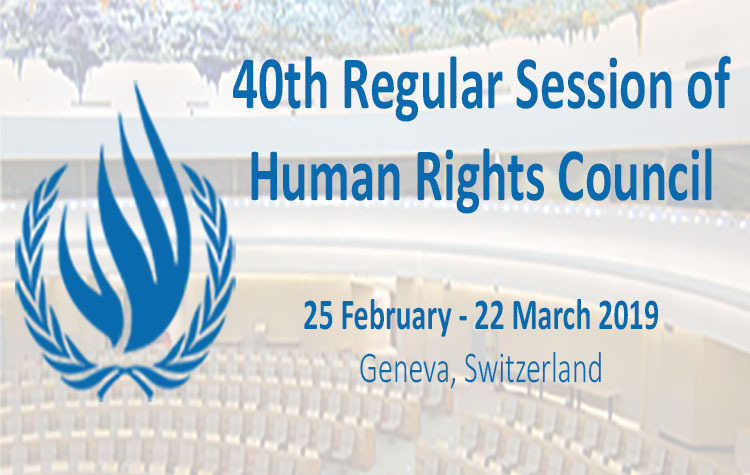 During the current 30th session of the United Nations Human Rights Council (UNHRC), member states will discuss and respond to the OHCHR report on Sri Lanka with a resolution. Ms. Evelyn Balais-Serrano, Executive Director of FORUM-ASIA, notes that “member of the UN Human Rights Council have an important duty to do justice to the report by passing a resolution on Sri Lanka which will urge the implementation of the recommendations of the report in letter and spirit”. In particular, the resolution should at minimum echo recommendations in the OHCHR report and call for “a strong, independent and credible, hybrid, mechanism with international involvement, to establish truth, justice and accountability for violations outlined in the OISL report on Sri Lanka”. Commenting on the demands of victims and civil society groups in Sri Lanka, Mr. Ruki Fernando, from INFORM, a Sri Lankan member organisation of FORUM-ASIA, observes that “in recent months some in Sri Lanka have called for a mechanism with substantial international involvement while others have called for an entirely international mechanism”, however “both views reject a purely domestic mechanism as a viable option that satisfies requirements of independence and impartially”. In fact, the “the long history of failed domestic inquiries in Sri Lanka make strong international involvement, in the form of a majority of international judges, prosecutors, lawyers and investigators, a minimum to guarantee the independence and credibility of the accountability mechanisms envisaged in the report”. While the human rights situation has improved slightly after the January elections, several important issues still remain unresolved and repressive institutional structures subsist in Sri Lanka. “Despite a reduction in the intensity, the climate of abuse, harassment, fear and intimidation still persists, especially in the North and East of the country”, emphasises Fr. Veeresen Yogeswaran a human rights defender from the Eastern Province. In light of this, the UNHRC’s resolution must call on the Government of Sri Lanka to take immediate steps to: resolve all cases of enforced disappearances; release or charge political prisoners; return land illegally occupied by the military; demilitarize the North and East; and repeal the draconian Prevention of Terrorism Act. Considering the findings and recommendation of the OISL report and the remaining unsolved human rights issues in the country, the Government of Sri Lanka should seek to strengthen its cooperation with OHCHR and other relevant UN human rights bodies and work towards the full realisation of justice and accountability. “The UNHRC should continue its engagement with Sri Lanka until tangible outcomes are realised”, stresses Ms. Balais-Serrano. At a minimum, this should result in: regular monitoring and reporting back by High Commissioner on Human Rights on progress made with regard to the recommendations in his report; and continued cooperation with the Special Rapporteur on transitional justice, who was invited by the Sri Lankan Government earlier this year to visit and advise. It is hoped that the release of the two reports would further galvanize efforts to ensure justice for the people of Sri Lanka and pave the way for a greater protection of human rights in the country. It is also hoped that this further leads to substantial international involvement and engagement with the government of Sri Lanka in establishing justice and accountability for grave violations. FORUM-ASIA is a Bangkok-based regional human rights group with 47 member organisations in 16 countries across Asia. FORUM-ASIA has offices in Bangkok, Geneva, Jakarta and Kathmandu. FORUM-ASIA addresses key areas of human rights violations in the region, including freedoms of expressions, assembly and association, human rights defenders, and democratisation.